True next generation motherboards have arrived with the EVGA X79 FTW!. 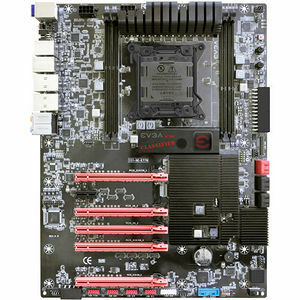 This motherboard packs in the latest technologies to give you an uncompromised experience!. Uncompromised Performance Unparalleled memory bandwidth with true quad channel DDR3 memory support and intel Turbo Boost Technology 2.0 gives you intelligent computing by optimizing performance on the fly! up to 4-way SLI gives you the expansion you need to maximize your graphics performance.